Confessions of a Wanderlass: Wow Cebu - There's no place like home. Wow Cebu - There's no place like home. It is such a shame to be a stranger to your own hometown, right? It was a pleasure being a host to visiting friends from Manila and Bacolod, because I got the chance to explore and tour Cebu City and its neighboring towns. So I thought I'd compile the interesting places in my hometown that I myself have set foot on. 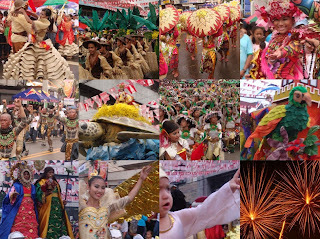 SINULOG! Every third Sunday of January, Cebuanos celebrate the feast of Sr. Sto. Nino with a mardi gras. The street party is flocked by locals and tourists and it's the most feastive season in the island. BASILICA MINORE DEL SANTO NIñO is the country's oldest church and the only basilica in the Far East. It contains the image of the Holy Child given by Magellan to Rajah Humabon's wife. Look up and you'll find fine artwork on the ceiling. (A block away is Cathedral Church.) Don't forget to say your prayers, miracles do happen! Right next to the Basilica is MAGELLAN'S CROSS, an octagonal shrine with a red-tiled roof that have paintings depicting the events of Magellan's visit on the ceiling. The original cross in encased with a wooden cross to preserve it. 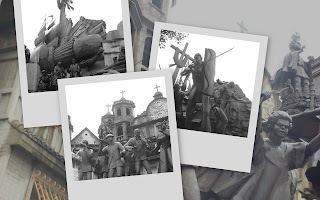 In the middle of downtown Cebu, next to the Pari-an Fire Station, stands a bronze sculpture showcasing the "HERITAGE OF CEBU", commemorating the historic events that unfolded since the arrival of Spanish conquistadors and the battle that ensued between Ferdinand Magellan and Lapu-Lapu. I finally came up close to this masterpiece, I pass by it everyday on my way to work. 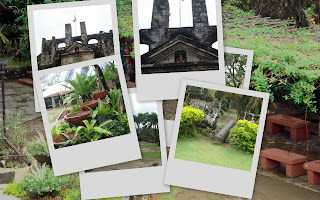 FORT SAN PEDRO, the smallest and oldest Spanish fort in the country that served as core of the first Spanish settlement in the Philippines. (Feel free to request the guard on duty to take your pics, he'll gladly take your photos and direct your pose!) Adjacent to the fort is a public park, Plaza Independencia (Freedom Square). JUMALON BUTTERFLY SANCTUARY AND ART GALLERY the home of the late Prof. Julian Jumalon has the country's oldest butterfly collection from around the world and a display of his lepido mosaic art collection, so called because it utilizes butterfly wings as its medium. TOP, high on top of cool Busay hills offering breathtaking view of Metro Cebu and the islands of Mactan and Olango. Best to visit on a clear night when the fog won't block the view. Entrance fee is pegged at P100, or find a local who has a discount card and pay half the price (they give that out for free on your first visit, but you have to ask for it)! 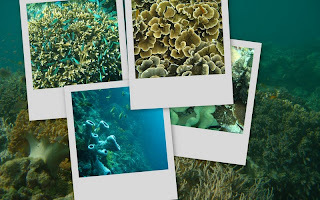 MACTAN ISLAND, where the airport is located, is a coral island famous for scuba diving where beach resorts of international standards are located. Go island hopping in pump boats and take along Cebu's specialty -lechon baboy (roast pig) and puso (hanging rice) for a hearty lunch at sea. 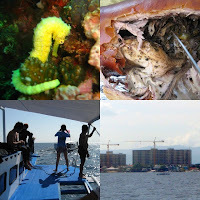 Two and a half hour drive from the city via the South Reclamation Project and detour at Carcar Market, takes you to MOALBOAL. Panagsama Beach, Moalboal has a strip of dive shops and restaurants, the tip off point to diver's haven like Pescador Island. A long stretch of white sand and live corals at White Beach is an option for non-divers. Further drive along the coastline takes you to the next town, BADIAN. 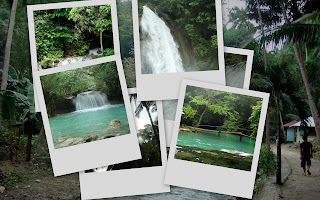 Visit Kawasan Falls, Badian for a refreshing bath in this ice cold three tiered cascade of crystal clear mountain springs. Rent a raft for P300 and go under the falls for a HARD massage. U can also take a plunge off the cliff next to the falls as high as 50 feet or trek up the mountain to the source. Then there's also Taoist Temple, Bantayan Island, Balamban, Tuburan, Pinamungahan and wherever you go around the island, there's always good food, food and food! I've been to more places than I thought! I'm a stranger no more to my own hometown Cebu. :D the adventure continues... I'm proud to be a Cebuano, there's no place like home. ang galing, parang virtual tour of cebu. Tutubi, come by Cebu again. I don't have the contact number for Jumalon(will post it when I have it) but I've posted their address here. My parents are both cebuano pero sa manila na kami nakatira since when i was an elementary. Sa manila kasi na assign ang papa ko sa work nya. Pero bumibisita pa rin kami sa cebu paminsan nga lang kasi mahal na pamasahi ngaun.. Mga magaganda talaga ang mga pasyalan sa cebu lalo na ngayon na mas pinaganda pa. Sayang nga lang at hindi kami nakapagkasyon last summer. Miss ko na ang cebu lalo na yung lechon cebu. Grabeh ang sarap ng lechon sa cebu. Masarap at macrispy ang balat. Hindi na kailangan ng liver sauce or mang tomas kasi malasang malasa na. Yeah cebu is the best talaga pagdating sa lechon. And right they use native pig. Try also lechoncebu.com The tasty meat and crunchy skin wow its yummy talaga. It is very flavorful from inside out. wow! started now reading blogs when i came across this one, i am getting excited. its my first time to cebu in a few weeks and hoping to see what it has to offer. i should have booked an earlier flight so my first day pa lang solve na! ha ha! Cheers! will be reading the rest of your entries! you might want to visit not the usual places too.